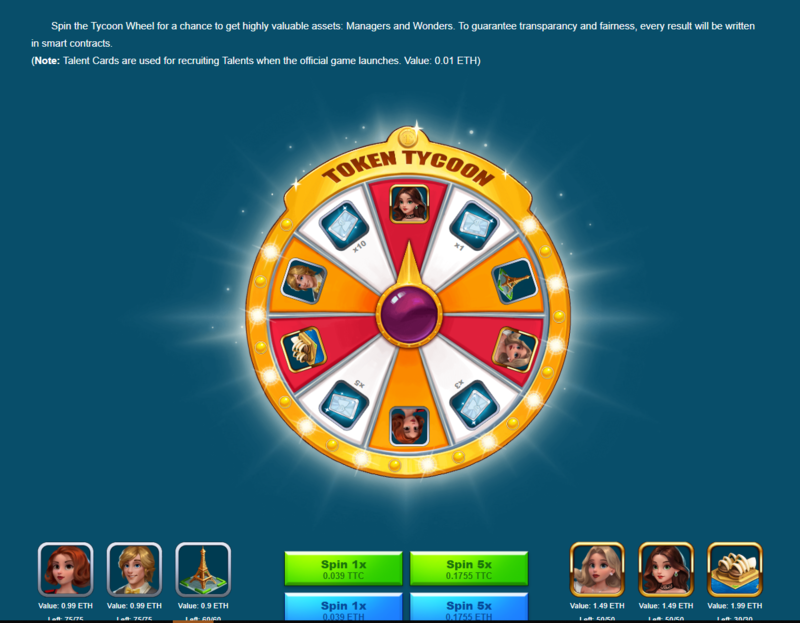 Topic: Token Tycoon - A major event for the gaming industry! MOBOX Ltd. is the team behind Token Tycoon and they have been in the video gaming industry for over a decade now having published popular mobile game titles such as Heroes Evolved, The Greedy Cave, and Clicker Heroes. Thus by looking at their background it comes as no surprise that they are the ones who developed Ether Online, which earlier in the year was ranked 2nd in all dApp games, right behind CryptoKitties. 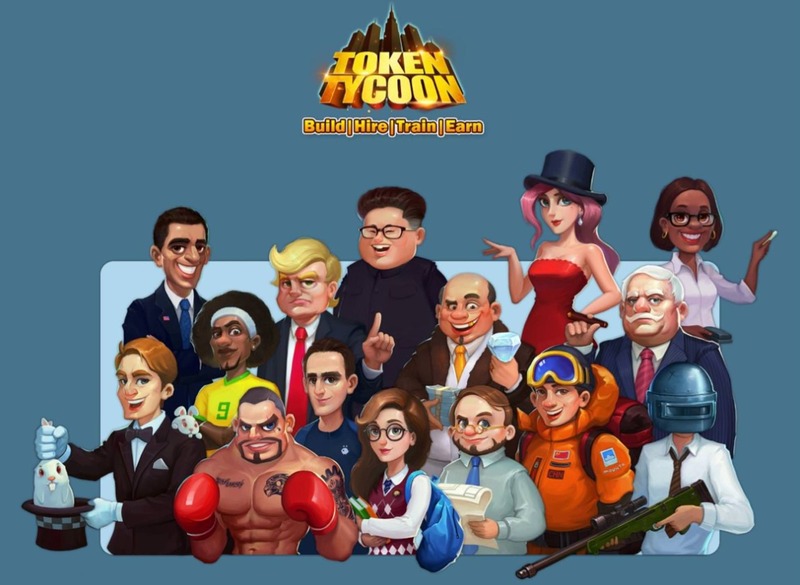 Token Tycoon is a multiplayer online strategy game that tests your entrepreneurial skills with the prime end goal of becoming the greatest token mogul! It is a first for this genre of blockchain games where the objectives translate to true to life business decisions, from establishing companies in many different industries, diversifying a portfolio of enterprises and even hiring employees to handle your businesses daily trivial tasks. Keep in mind that everyday as an in game incentive you have the chance to win some cryptocurrency that is if you can keep your tycoon skills ranked high enough on the leaderboard. Token Tycoon (TT) has great gameplay mechanics and integrated tech features that helps create a smooth, seamless and decentralised game experience for all users. First of all, players will no longer need to install third party plugins, which prevents the going back and forth between addons and the game. As well, to lower some barriers for the newbie blockchain gamers every TT user will have their own wallet that supports multi-cryptocurrencies integrated into the game and the costs of GAS will be extremely reduced. Lastly, to support a larger gaming audience TT will be catering to the mobile (iOS, Android) space by being fully cross-platform. This will provide users with an on-the-go experience where they can play the game through their PC, iOS and Android devices. All users who join the TTC presale (Min. 1 ETH) will have a permanent TT membership allowing them to benefit from a 10% discount on game purchases! TT membership users will also be invited to join Token Tycoon – Alpha Test. After the game goes live, if it is not what you expected, you can convert back all your TTC within one week. - TTC in the game instead of other cryptocurrencies such as ETH. To gain an advantage in the game with your businesses, collect as many Manager & Wonder items as you can! These specific and valuable assets offer special bonuses to grow your businesses more rapidly. Players can acquire the Managers & Wonders at a 35% off discount only during the Flash Sales. It is very important for the TT team not leave any of their previous Ether Online players in the dark and lose out on their investments. So for a limited time to give each EO token holder more value and by taking advantage of the interoperability on the blockchain those users Pets are exchangeable for Token Tycoon Managers, who will have a +50% more value compared to their Pets! Check below for further info about them! We Are A Blockchain/Crypto Gaming Media & Market Community, Bringing You The Best & Latest News From This Industry!